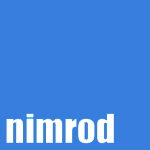 Nimrod is dedicated to promoting classical music to the widest possible audience via CD, download, streaming, websites and apps. We are currently in the progress of building a catalogue of classical works, both the essentials and more obscure works including new compositions. This is by licensing or acquiring recordings which have laying about in the archives and are currently not available on CD. We are also recording works which have never been previously released on CD. Most of the classical recordings ever made are out of print. The record company makes a new recording with their latest “superstar” artist or the latest technology. The previous recordings are deleted and are left to rot in the archives because the original record company considers them to be uneconomic to re-release or asks for outrageous amount to licence it. Other recordings become othaned works with no one knowing who owns the copyright. We also re-releasing recordings which are more than 50 years old, including some which have never been released on CD. These recordings are digitally restored and remastered from the best sources we can obtain, these are normally LPs or 78rpms in excellent condition. Using the latest technology, we strive to correct any faults in the original LP pressing and the original recording, where possible. We do not overuse the technology, which would otherwise affect the dynamic range of the recording or create artificial sounds. Under the United Kingdom’s Copyright, Designs and Patents Act 1988, sound recordings had copyright protection for 50 years after the year of release , i.e. any original recording released on or prior to 31st December 1962. Recordings released after this date have 70 years protection. The original copyright holder has lost control of the original recording released on or prior to 31st December 1962, although any remixed/ remastered release by them (including all CD releases) have new copyrights, which is separate from the original copyright. Any restored and remastered recording has a new copyright of 70 years from when it was released. While the compositions' copyright last until 70 years after the composers death. All our titles are MCPS licensed, ensuring that the composers/ songwriters (or their estates) and publishers are paid. New sound recording copyrights exist in all of the remastered recordings we release. Unauthorised copying, hiring, lending, public performance and broadcasting of these recordings are prohibited.